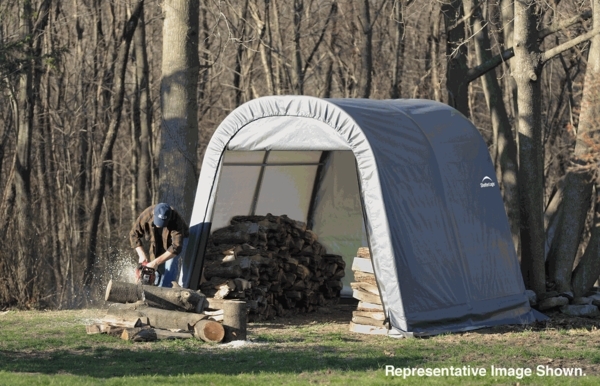 Shelter Logic is the name you can trust in portable shelter options. This 11 x 12 x 10' structure is a fine example of why. Crafted a with sturdy, 1 5/8' diameter, powder-coated steel frame, the ShelterLock stabilizers, secure, bolt-together connection points, and universal foot plates all work together to ensure the integrity and strength of the structure. 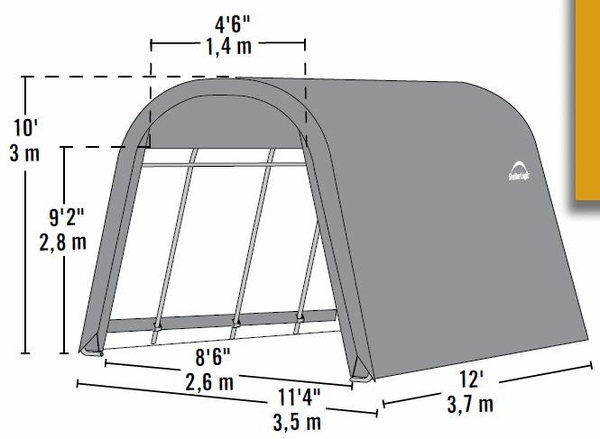 Add to that the commercial grade, UV-coated 9 ounce polyethylene cover, Ratchet Tite tension system, and Easy-Glide sliding cross-rails, and you have a sturdy, smoothly covered structure that will stand up to the elements and protect your assets.